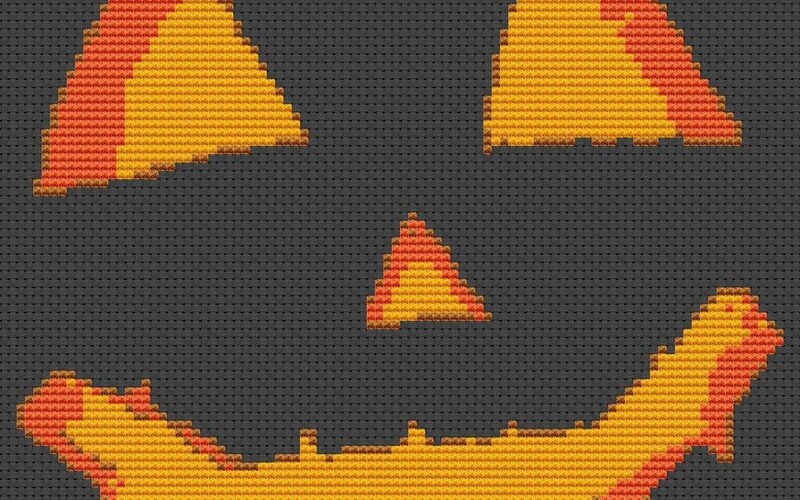 Stitching a pumpkin face would be cool for a pillow or purse side. This chart is meant to be stitched on dark fabric. 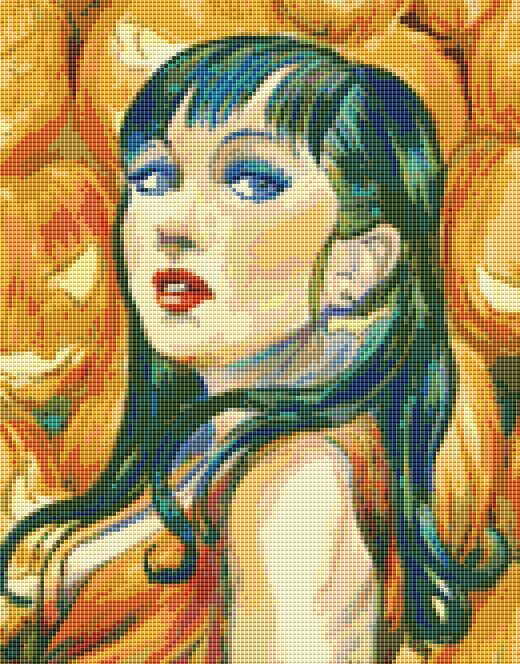 This is 92×81 stitches and only 3 colors. Here is my first design from artist Joe Shawcross. I’m so excited to get to be able to begin working with his artwork. 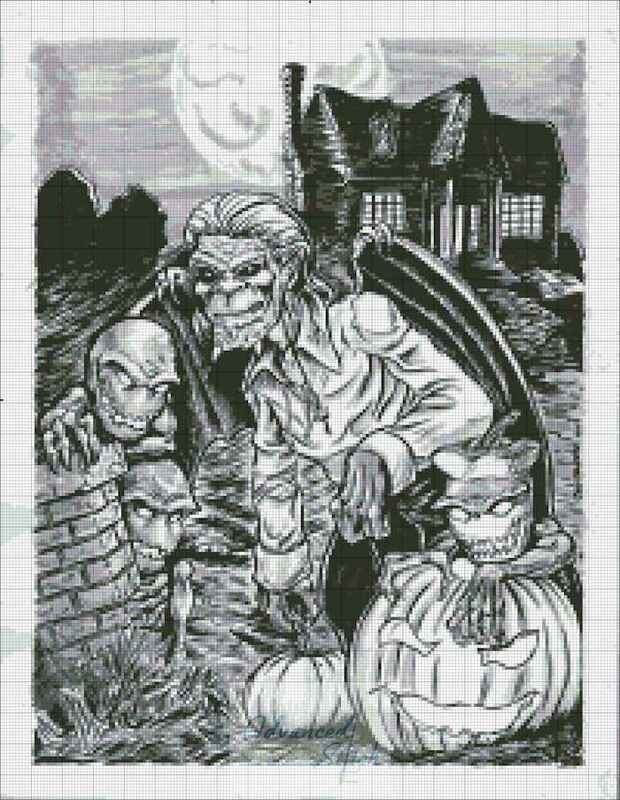 This is a great sample from his line of artwork. 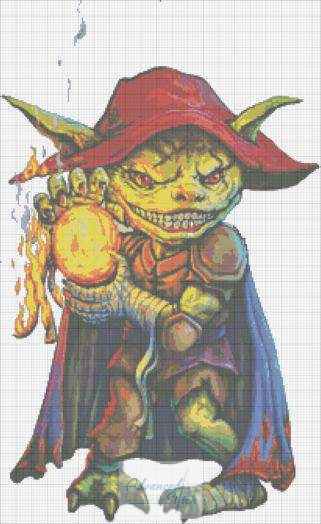 This is Gremlin Pyromaniac. 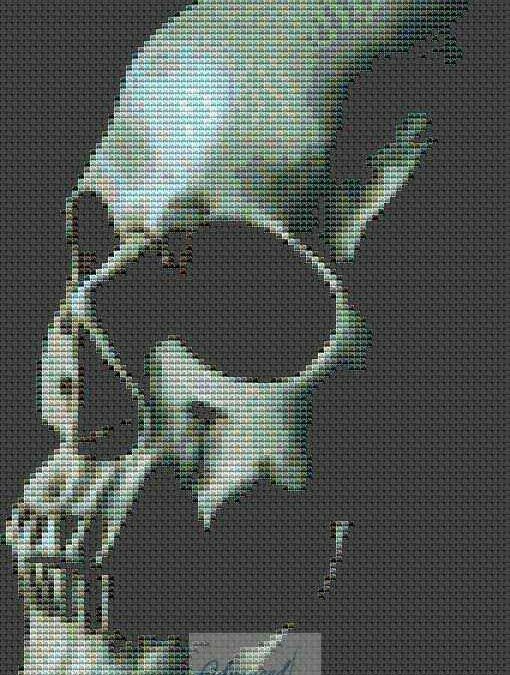 The chart is 205×335 stitches and contains 48 colors.